LOOKING FOR THE BEST ELECTRONIC DRUM SET FOR YOUR BUDGET? No matter if you’re buying your first set, switching from an acoustic drum set or just adding a new kit to your collection, It’s always important to do an in-depth research before making a definitive choice. We’ve made this buying guide in an effort to show you the best options available on the market, which belong to different price brackets. Now that you got a glance at our top picks let’s dig into the detailed reviews. This is going to be a rather long buying guide so if you have a certain budget you can use the table of content to see the best contenders under a particular price. 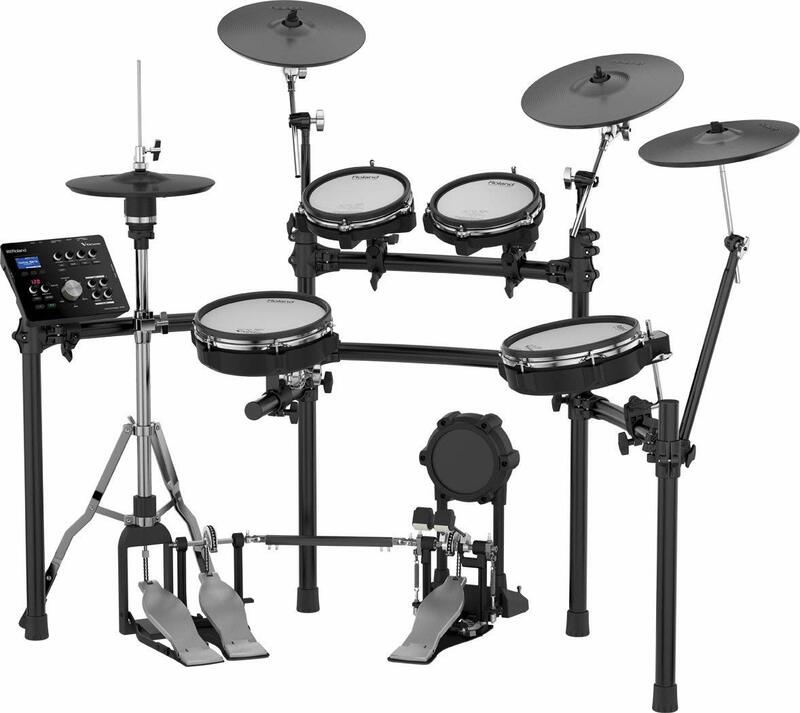 What Makes a Good Electronic Drum Set? First, let us understand what makes a good electronic drum set. There are several things you need to have in consideration and of course, these aspects will be also determined by your budget. This is essential because you want to look for a manufacturer that has done the proper job of recording different types of drums in real situations. Typically you will find sounds for different playing styles but the quality of this samples is what matters the most. This is kind of redundant when you go up in cost the sets tend to be of better quality. But besides the budget limitation, we have included in this list the best brands that will deliver a good product no matter how much you are willing to pay. Basically there are two types of heads and we cover the difference between them here. But essentially try to pick a kit with mesh heads. This types of heads have a more natural feel when playing. If you come from an acoustic drum set you will be grateful for them. This is the brain behind the machine. Of course, you will find better and more complex modules when you are looking at high-end e-drums. But also this usually means that they are a bit harder to understand, aimed at a more experienced musician. Don’t worry, in this buying guide, we will cover in detail this aspects and more for each of the electronic drum sets so you can make a truly educated decision. We did the hard work for you and prepared a selection of models for each price range, which we think are the best option at the moment. Below, you will find all the info you need to make a well-rounded decision. The main advantage is the entire new array of sounds you can play with just one drum set. You can also use electronic kits to play various pre-recorded samples, or even whole sections of songs. Try experimenting with different effects that you can apply easily with a digital system. Another great benefit is not having to worry about volume when practicing. Just plug your headphones in and you’re ready to go. These are just a couple of really good reasons to try and go digital. Roland’s new TD-50KV drum kit pushes the limits of electronic kits to a whole new level. Where TD-30K hit the wall, TD-50KV just keeps going. The whole new module with its advanced Prismatic Sound Modeling engine is bringing electronic kits to the level of a quality acoustic set. Those who want the best of the best will find their answer in Roland TD-50KV. No matter how advanced a kit is, a lot of its performance will be based on the quality of materials and hardware used. With TD-50KV, you are looking at impressive levels of reliability, stability and overall aesthetics. This kit doesn’t only sound like an acoustic set, it looks like one as well. The all new Prismatic Sound Modeling engine absolutely pushes the limits of digital drum sampling. Roland has included a number of realistic sounding drum presets, which you can alter in so many different ways. The end result is an electronic drum kit that sounds like a quality acoustic set. As you would expect, the pads on the new flagship kit from Roland belong to the V-Series. However, these are quite a bit different compared to the previous generation. Not only do they look like real drum heads, but the sensitivity and feedback are almost the same. On top of that, you can customize the performance of each pad in so many different ways. Considering how complex the design of TD-50KV is, it is fair to say that mobility was not something Roland was focused on when designing this thing. It is heavy, large and full of hardware components that need precision adjustment. Using this kit for frequent gigging is simply not something anyone would want to do. The all new TD-50 module from Roland brings a number of important changes compared to its predecessor, the TD-30. For starters, it comes with XLR support which means that you can hook it up to a PA system. However, its strongest side is its versatility. TD-50 allows you to customize the output for various environments, change the response of the pads and so much more. Roland TD-50K is the new standard. That is the only real way we can describe this impressive drum set. They have taken the performance of TD-30 series and pushed them to a whole new level of excellence. We recently made a full review of this beast right here. If you need a professional kit and have an unlimited budget, TD-50K is the only real way to go at the moment. For more about the Roland TD 50 check out customer reviews on Amazon. While the greatest and latest Roland electronic kit definitely rules the market now, the older Roland TD-30KV-S V-Pro is still a beast in its own right. Up until recently, this kit was the best you could get, and that didn’t change too much. Aside from having an older engine and a couple of more newer features missing, TD-30KV-S V-Pro offers a lot of performance. Best thing is that you can probably get one now for a cheaper price since it is no longer the flagship. Discussing quality in the same context with Roland’s flagship electronic drum kit is completely unnecessary. They have gone above and beyond in all aspects you can imagine. This means carefully designed and well-made hardware, smart solutions in key areas and more. When you are dropping this kind of money on a drum kit, you don’t have to worry about quality. Much like the TD-30K version, The TD-30KV-S V-PRO also features the SuperNATURAL engine that has shown to be rather impressive. The quality of samples is up there with acoustic kits, which is why this kit has been used by many popular names in the business. Aside from the default samples, there’s a vast array of additional features you have access to. 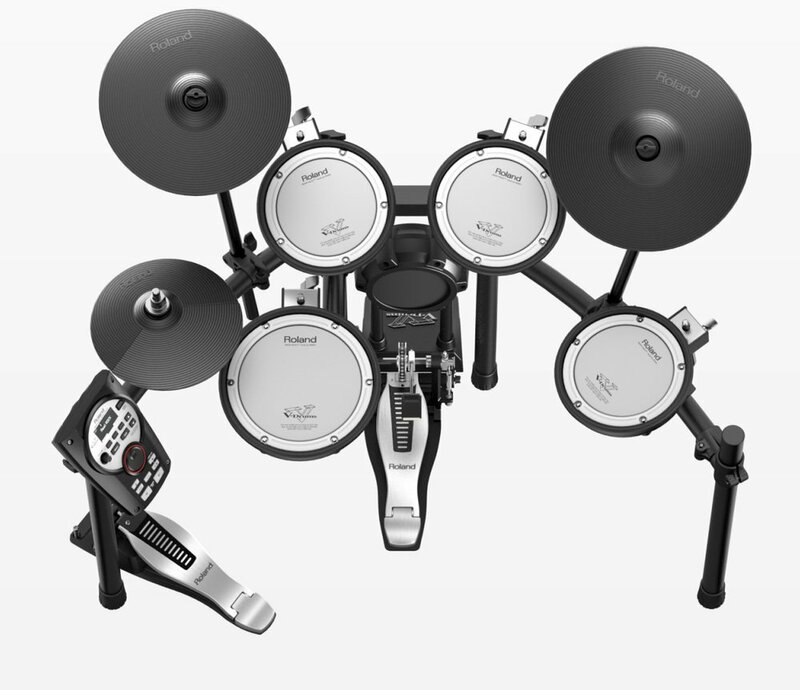 One of the reasons why TD-30KV-S V-PRO is Roland’s current flagship model are the V-Pads. Roland has applied this awesome technology to every single head on the kit, including the cymbals. V-Pads bring and incredibly realistic feedback, dynamic and overall feel during use. Other brands have some pretty cool solutions as well, but nothing that is quite on this level. We’ve already touched on the subject of mobility with the TD-30K. The flagship version is no different. The hardware is massive, sturdy and requires time to disassemble and assemble again. There is nothing really mobile about the TD-30KV-S V-PRO. Once again, mobility was never really something Roland was focusing on while designing this kit. The heart of the entire operation is the TD-30 module. This is something TD-30KV-S V-PRO shares with its more basic twin. Even though there are numerous advanced features on the flagship kit, the module is still as smooth as it can be. The extra load on the processing unit doesn’t have any negative impacts on its performance. This is partially why TD-30KV-S V-PRO is the choice of professionals from around the worlds. This is a really remarkable piece of engineering. How it sounds, which is what matters the most, is just mind blowing. A pure professional kit packed with everything you need to take your drumming to the next level. If you aren’t looking for a 7 piece drum kit our third pick can save you some money and the quality is the same. For more about the Roland TD 30KV check out customer reviews on Amazon. Moving down the ranks of Roland’s legendary TD-30 series, we find the TD-30K V-Pro. This kit offers an incredible amount of versatility at a price that is now more competitive than ever before. Whether you are a professional or a hobbyist who wants to get a piece of timeless gear, TD-30K V-Pro is a kit worth investing in. When Roland pushed out the TD-30K V-PRO, they attracted a lot of attention. Everyone wanted to see what kind of quality they would deliver, considering all of the hype about this TD series drum. Fortunately for us, the quality is supreme. All of the hardware is built very solid, and just by looking at the stuff you can see that Roland used only the best materials. One of the main reasons TD-30K V-PRO has managed to rank so well is the fact that it comes with the rather impressive SuperNATURAL sound engine. The sampled drum sounds are fairly close to an acoustic set, which is something you definitely couldn’t say only a couple years ago. None of this is surprising since a lot of Roland’s products feature the exact same sound engine. Another area where we see a lot of improvement are the heads.Roland’s mesh V-Pad heads feature dual triggering as well as incredible sensitivity. You can express yourself in any way you want to, and the heads will keep up. While they are very accurate by default, V-Pad heads can distinguish between head and rim shots as you play. Mobility is one thing TD-30K V-PRO is not good at. However, those getting a complex setup such as this are definitely not worried about mobility. This Roland’s high-end electronic drum set was meant for studio and stage use more than anything else. TD-30 module isn’t exactly new. However, its incredible range of capabilities has made it relevant even to this day. Power and versatility are the primary things you can look forward to seeing in this unit. It is accurate, capable of processing complex patterns without as much as a hiccup, and it just works. The sound quality of this drum set is amazing. The quality overall and the feeling when playing makes this drum a super contender. Rest assured you can expect to play any kind of techniques and dynamics in a very natural way. Taking advantage that is not the latest and greatest the new price is something to seroiusly conside. Just balance a professional quality with the new price tag. For more about the Roland TD 30K check out customer reviews on Amazon. When TD-30KVS hit the market, it didn’t take long for users to express their demand for a similar kit that would be a bit more affordable. Roland recognized that and went to work. The result of their effort is the Roland TD-25KV. This kit is more or less a simplified version of the TD-30. It doesn’t have nearly as complex I/O cluster, and the module is less complex in nature. However, it hit the spot for what so many users were looking for. Just like it is the case with previous kits from Roland, TD-25KV brings a great overall quality. From the rack to the pads, this thing is rock solid. In all honesty, after seeing their previous models and having the pleasure of playing them for a while, we expected nothing less from Roland. What makes TD-25KV so amazing is the fact that it features the very same SuperNATURAL sound engine as TD-30. That means you get the very same quality of sound. Roland packed this thing with 6 awesome drums presets, and a variety of high-quality samples. As we have expected, Roland once again used their V Series heads. The performance and quality of these pads have been known for a long time. In many ways, they have set a very high standard for other brands to reach. Same goes for cymbals as well. While TD-25KV is an awesome electronic drum kit, it isn’t exactly the most portable one. You are looking at a full sized rack with advanced heads and a lot of things that needs to be precisely setup. This kit is great for studio and occasional stage use, however moving it around frequently could become a nuisance. Roland’s TD-25 is a very capable module that packs a lot of performance in a clean looking package. They have optimized it for easy access to built-in features, which makes it great for home and studio use. With that said, TD-25 packs enough kick to be used on stage. Roland’s ability to recognize the needs of its user base has yielded some of the best electronic kits we know today. TD-25KV is an awesome set that meets and exceeds all expectations we had for it. The only real thing we’d like to see done differently is the I/O cluster, which could use some additional options. For more about the Roland TD 25KV check out customer reviews on Amazon. 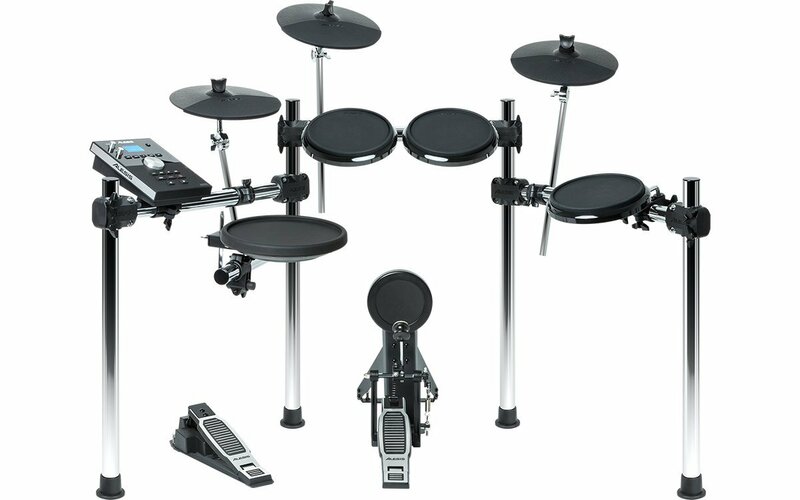 This 5 pieces electronic drum set is made by Yamaha, another well-established brand. The quality that Yamaha offers with this kit can be seen in just about any of its elements, no matter how tiny they are. Because of this, it’s one of the kits professionals trust the most. Relatively high price tag brings a whole bunch of advanced features that help with sound quality, as well as feedback you experience when you play. One such feature is the DTX technology along with mesh-heads which aim to bring the most natural feeling during use. Let’s check out what this thing has to offer. Yamaha’s higher end electronic drums are built like tanks. That is the only way we can put it. You are looking at really sturdy hardware with joints and mounts which are rock solid. On the other hand, considering the price tag for this kit, we expected nothing less. Yamaha’s use of quality materials for every component of DTX750K makes it one of the most reliable sets you can get. The quality of sounds delivered by Yamaha DTX750K is pretty impressive. On top of that, they have included some 50 factory presets, a whole array of effects and a very versatile EQ section that has two layers. What is great about the presets on this Yamaha is the fact that you can edit and overwrite all of them. This gives you the full freedom to customize the sounds and samples in a way you see fit. One of the main benefits of DTX750K compared to other Yamaha models are the DTX pads. This proprietary technology allows you to use advanced drumming techniques which are almost exclusively reserved for acoustic sets. The feedback is simply impressive, but so is the versatility. When put against their immediate competition, Yamaha’s DTX pads are ranked among the best ones out there. 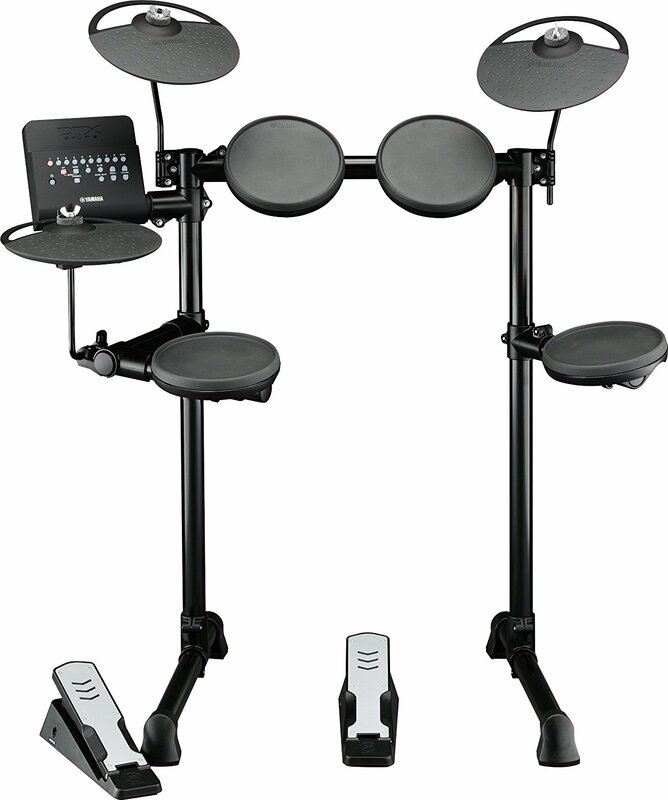 Just like it is the case with other professional electronic drum sets, Yamaha DTX750K wasn’t really built with mobility in mind. The whole kit can be disassembled and transported when necessary, however, this process takes both time and effort. This is the type of drum set you keep in a studio or use on stage with professional support. Yamaha used the very same DTX700 module we have already seen. The processing power of modern modules has reached a level where they have plenty of headroom for hardware to catch up. That is exactly the case with this Yamaha. DTX700 is very powerful and potent unit that will do anything you need it to do. The whole kit feels super natural to play and it’s packed with superb technology with all kinds of features. This kit easily belongs in the top tier group. One thing we were expecting is a mesh-head pad for the bass drum as well. Once again this option isn’t for all budgets. That doesn’t mean that is not worth the value. Although if you have no budget restriction, this is one high-end kit that won’t let you down. For more about the Yamaha DTX750K check out customer reviews on Amazon. Here’s Yamaha’s beast, one of the high-end options, which brings nothing but superb quality. One of its highlights is the triggering system, the response is just incredible. Sometimes even better than what Roland has to offer. Off course, in this range, you can expect all mesh heads packed with all the technology needed to be considered a professional drum set. DTX950K is about the best Yamaha has to offer at the moment. 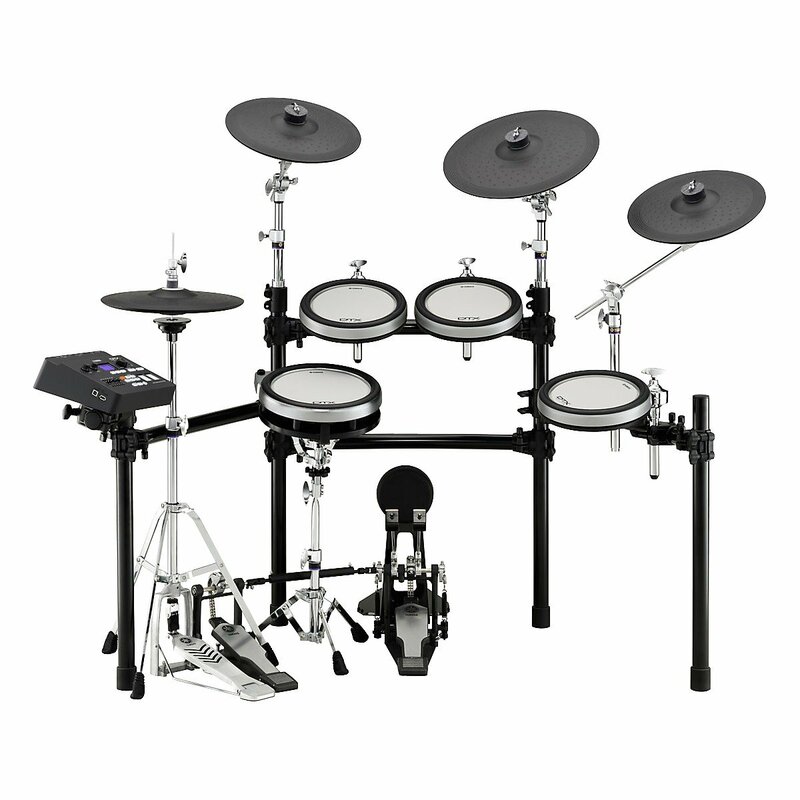 Being their most advanced electronic drum kit, it is only expected that the quality is also on the same level. Considering how Yamaha goes above and beyond in just about any class of their instruments, you can rest easy knowing that your DTX950K is as solid as they come. The complete pool of samples you get with DTX950K will impress even the most demanding users. We are talking 1115 different drum voices and 211 melody voices. On top of that, you also get over 70 different effects to work with. To say that DTX950K is complex would be an understatement of the century. This thing offers an incredible amount of value. As its name states, this kit comes with a full set of Yamaha’s DTX heads. These are very sensitive and provide rather realistic feedback. On top of that, they have included two and three zone cymbals for ultimate versatility. This results in even the most advanced acoustic drummers being able to express themselves flawlessly on this electronic kit. Yamaha DTX950K will score the best marks in every single area except mobility. This is a professional drum kit that comes with a whole range of elements, pads as well as complex hardware. Putting things thing together quickly is simply not an option. Therefore, high mobility is something you can’t look forward to. The DTX900M module represents the peak in performance from Yamaha. This thing is neck and neck with Roland’s TD-30, each offering their own take on professional drumming performance. Overall, DTX900M is easy to use, full of features and just incredible in every single regard. It is a powerhouse that will easily keep up with you. The overall quality of the kit is top notch. The sound module’s flexibility enables a much better triggering response for MIDI recording purposes. Expect a professional drum set, period. The only downside is the quality of sounds provided by the module. While the samples are definitely decent, they could have been a bit more ‘clean’. In short, they have a slight artificial vibe that is noticeable. For more about the Yamaha DTX950K check out customer reviews on Amazon. Roland’s mid-range segment is pretty exciting. This is where you find kits such as the TD-11KV-S V-Compact. For the most part, they have taken an already proven platform and upgraded it to a very decent extent. The result is a capable mid-range kit that comes at a reasonable price. Let’s take a closer look. The quality of the rack and every other hardware component is great, to say the least. Roland has applied their very strict QC to this kit, allowing you to rest easy knowing everything is as sturdy as it needs to be. On a similar note, the materials used are pretty high quality as well. The quality of the samples on the TD-11KV-S V-Compact is just what you would expect it to be. After all, this thing uses Roland’s SuperNATURAL engine that has proven its worth many times so far. The library you’re looking at here is fairly complex, with a decent selection of kit presets as well as built-in effects. The heads used on this Roland kit feature mesh design while the kick pad is clothed. With that said, these also belong to Roland’s awesome V-Series of pads. They are highly sensitive, allowing you to express yourself. The same goes for the cymbals. In terms of mobility, TD-11KV-S V-Compact is about as portable as it gets if you want the high-quality performance. It will still take some time to break down and put together this kit, but overall it is much friendlier to this idea than a lot of other kits in this segment. The TD-11 module is the same as the one used on the TD-11K-S. Roland hasn’t really made any changes in this regard. You get the same performance as well as the same flexibility. Overall, TD-11KV-S V-Compact is a great choice for anyone who needs extra performance in a simple package. It is reasonably priced compared to what it offers, which is why a lot of session drummers like to use it as their light rig. If you are looking for more options in this price range you can check this article with our 5 picks. For more about the Roland TD11-KV-S check out customer reviews on Amazon. Over the years, Alesis has proven to be quite full of surprises. This brand has started to dominate the value for the money segment of the market. Alesis DM10 is among the latest additions to their spectrum, which fits this profile. Alesis went ahead and put together a great set of Mylar heads stacked on a well-known rack. All of this is connected to a pretty impressive little module that packs one mean punch. Let’s take a closer look at this setup. The hardware that comes with the DM10 is anything but basic. They have used thick pipes for the rack, which means this kit sits as if it is anchored to the ground. Everywhere you look will show precision craftsmanship and proper fitting of the elements. Mounts are sturdy and everything fits nicely. In terms of quality, this thing is up there. What really puts DM10 into perspective is its library of sounds. We are looking at 1047 of 16-bit samples that haven’t been treated with any kind of compression. That is 100 presets which you can overwrite if you want to. With that said, the quality of the samples is fairly decent. DM10 won’t replace an acoustic set anytime soon, but it is fairly capable. Alesis discontinued the DM10 variant with mesh heads, offering a Mylar solution instead. The feedback from this type of pad comes across as fairly natural. The stick reacts well to the surface, which you will notice straight away. Pads offer great sensitivity while cymbals are not too far behind. However, doing cymbal chokes on these yields result that leave a lot to be wished for. Being a full sized kit, DM10 is not something you could call portable. The rack is a heavy duty design that takes the time to put together and break down. Adjusting every pad and cymbal also takes some finesse. In other words, as long as you don’t have to move it too often, DM10 is quite alright. DM10 module packs a lot of heat in a price range where compromises are more or less the standard. Truthfully, this thing is very responsive. It can handle complex patterns fairly well, while it also allows for a lot of on-site editing. Compared to other Alesis models, DM10’s nature makes it great for live performance and recording. Overall, DM10 is a great solution in a price range where you don’t really see too much diversity. Those Mylar heads give it a very natural vibe, which is what most acoustic drummers are looking for. While it is not a perfect kit by any means, Alesis DM10 is one of the better models you can get in its price range. For more about the Alesis DM10 check out customer reviews on Amazon. Before we start this portion of this massive guide, if the you are looking for a e-drum under $1000 we made a specific buying guide for this price range as well. As we mentioned before, we believe all Roland products are very high quality. In this case, they’ve designed a compact kit with rubber pads, a mesh head for the snare and a smaller module. This makes it a more affordable option while still maintaining some pro features found in its bigger brothers. Roland is one of the few rare brands who doesn’t cut corners even when they are fully expected to. 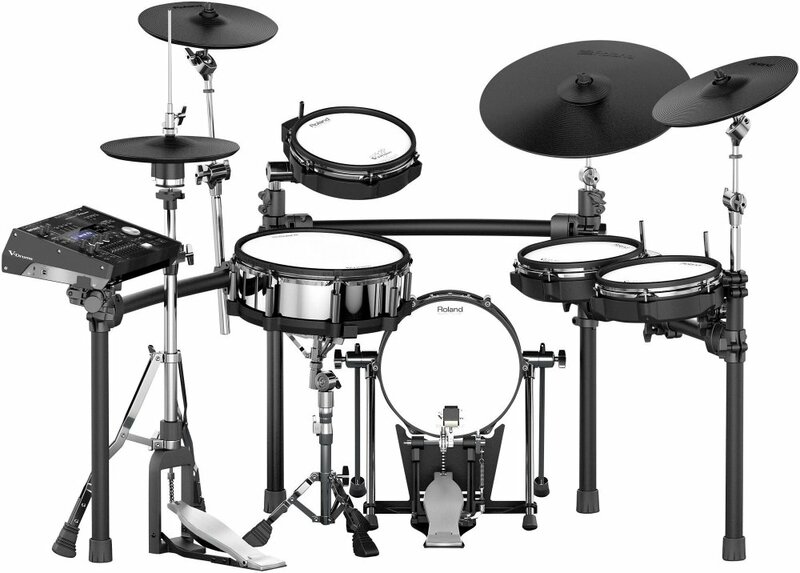 TD-11K-S V-Compact Series features the quality of a professional kit. The hardware is just solid, offering plenty of support to the whole kit even if you go hard at it. All of the mounts feel like they are stronger than necessary, which means that you definitely don’t have to worry about heads and pads moving around. If there is one word we could use to describe the voices and pre-sets this kit delivers, it would be ‘versatile’. Roland wanted to offer a good quality of sampling, but also some range when it comes to what you can get from this kit. This type of solution does require some compromises, but Roland seems to have handled them quite nicely. Here’s what is really great about Roland. They could have included just about any kind of pads on this kit, yet they chose to go with V-Pads all around. This technically means that you are getting hardware components which can be found on their flagship model, at a much lower price. Even though it wasn’t really intended to be highly mobile, the way Roland has designed the rack on this kit allows for some portability. You probably wouldn’t want to move this thing around too often, but in case you have to do it, you won’t run into much resistance. Realistically, it doesn’t take long to break TD-11K-S V-Compact Series down. Roland’s TD-11 module is fairly powerful for what it is. Compared to something like the TD-30, you will find that it lacks quite a few features. However, TD-11 was designed to be a training tool as well. They have included a great COACH feature that can help you perfect your technique and a few similar solutions. Don’t let the smaller size fool you, this kit is capable of producing some amazing sounds. The bass drum is solid and feels great.We also appreciate a more affordable product from Roland. The downside? We would love mesh heads for the entire drum set. 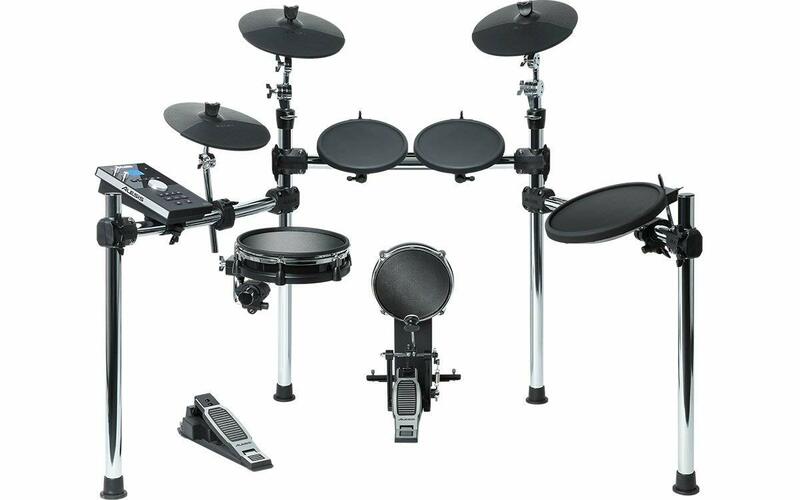 For more about the Roland TD11K check out customer reviews on Amazon. This mid-range drum from Yamaha comes with some interesting features. This new version (predecessor: Yamaha DTX502) comes with improved sound quality and highly expressive playability along with user-friendly functionality. The thing that made DTX502, the previous version of this drum, so good was the type of quality it offered for the money. Yamaha’s policy of going the full 9 yards when it comes to the core of their products definitely shows here. The rack is simple but made of thick tubes and everything generally inspires confidence. In most cases when you are getting what is still a budget kit, you can’t really expect too much in terms of samples and presets. However, Yamaha does things differently. You get 691 great drum samples, which are pretty crisp and clean for a budget kit. We can thank the versatile nature of the DTX502 for that. Here’s where things get complicated. The cymbals on the DTX502 are amazing. You can choke them if you want and they also have three zones. However, pads are that typical rubber design. When you play them, the feedback is simply not the greatest. It is worth mentioning that this is more or less the norm for this price range. The setup we’re looking at here is fairly low-profile. Even so, taking this kit from one location to another might prove to be a pain. DTX502 is a full sized electronic drum set, meaning that you will have to put in some effort if you want to frequently gig with this thing. The absolute best thing about the DTX502 is its module. DTX series are generally pretty far up there on the list, but they come to shine on a more basic kit such as this one. The module handles every input flawlessly, giving you precision and accuracy no matter what. Another kit on the mid-range with great value. The DTX module is quick, with excellent results. What we don’t like so much are the rubber tom pads. If you can afford it, we always recommend the mesh-head options. For more about theYamaha DTX522K check out customer reviews on Amazon. This brand new model from Alesis brings a lot of interesting features for a very good price. The snare drum on this set is super sensitive. You can expect a wide range of built-in sounds and songs. If you’re looking for the best bang for the buck you have probably just found it. Trying to deliver great value for the money usually requires a significant amount of compromises to be made. More often than not, quality suffers due to this decision. However, with Alesis Command kit, that is just not the case. Rack that comes with this kit is pretty decent for a compact build and all of the heads sit firmly on their mounts. In terms of samples and presets, you get 50 factory drum kits to work with, which total at 600 sounds. For what is essentially a good mid-range drum set, this kind of versatility is pretty incredible. On top of that, Alesis has included 20 user-defined presets which you can configure any way you want. The quality of samples is about as good as you would expect it to be. Alesis has chosen a variety of mesh pads, some with dual zone capability, as their solution for the Command. All three of the cymbals are very articulate as well. You will get a rather realistic feedback and bounce on the stick. The pads on this kit might not be as advanced as some Roland’s solutions, but they definitely follow the bang for the buck line of thought. 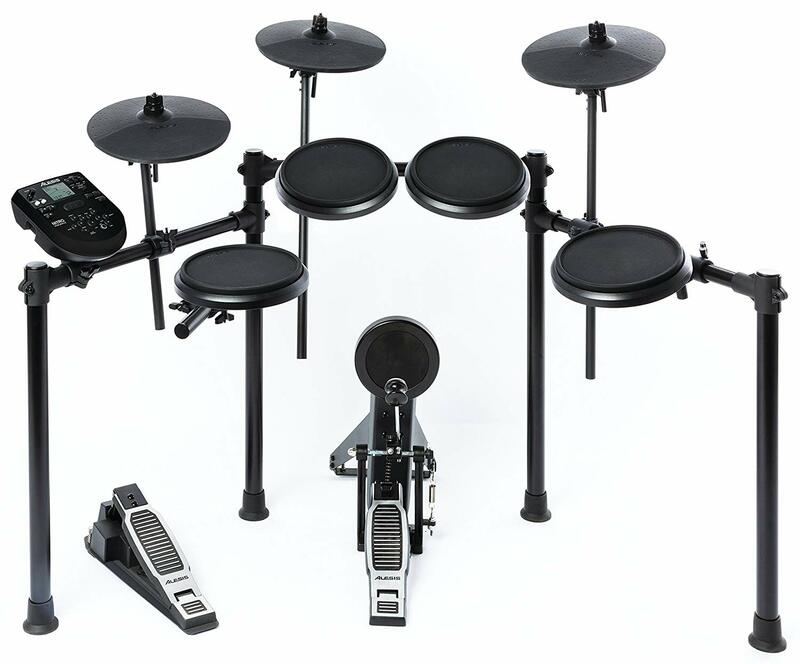 Alesis Command is a full sized electronic drum set. As such, there is an absence of mobility in its most standard form. With that said, taking this thing down and putting it back together isn’t overly complicated. It is just that Alesis never really designed the Command kit as something that was supposed to be portable. Alesis Command Advanced module is fairly simple in design but quite powerful for this segment of the market. What is most surprising is just how well it handles complex patterns and samples. Even though we wouldn’t call this a professional drum kit, the module alone is quite capable. Great overall sound and a breakthrough for its price point. Of course, it has some limitations. It’s a little bit hard to set up for the first time. Although we would love mesh-head for all the bodies is really nice to see they’ve incorporated for the snare drum at this price point. For more about the Alesis Command Kit check out customer reviews on Amazon. Extremely affordable kit packed with sound quality from Rolands V-drums system. 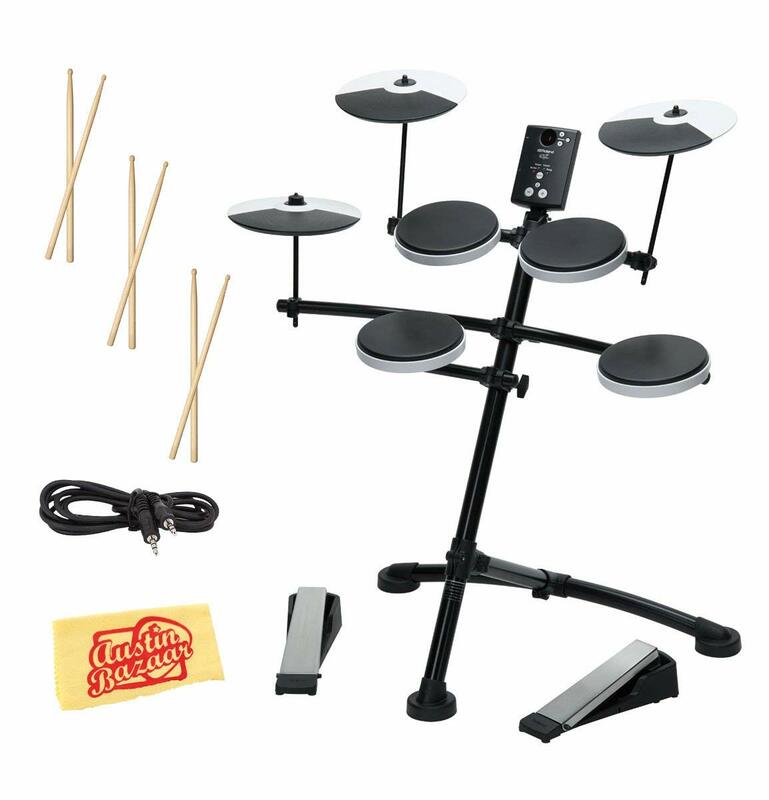 This 5 piece kit has lots of great features making it a very interesting option for those just starting out and drummers that need a compact electronic system. Roland’s affordable kits are extremely interesting. The quality you get for the money beats just about any other brand except for few heavy hitters. The rack on this kit is so simple yet effective, which is a result of Roland using quality materials. On top of that, they’ve left the door wide open for customization and upgrades. The samples you get with TD-1K are surprisingly good for the price. Roland has included some 15 drum set presets for you to work with, which makes the TD-1K more than versatile compared to its immediate competition. The quality of the samples is up there as well. You won’t get the same crisp sound as you would from Roland’s flagship models, but the performance of TD-1K is nothing to joke about. Roland’s decision to use their incredible V-Pad technology in an entry-level kit is worthy of praise. Four pads that come with the kit are impressive for the price. On top of that, you get a triple zone ride and a dual zone crash cymbal. Having that kind of versatility in a compact kit is fairly rare. Considering how light TD-1K is and how simplified its rack is, we can easily say that this kit features good mobility. It still requires some time to break down and put together again, but you won’t have too much trouble doing so. Because of this, TD-1K is a great choice for those who need an affordable gigging kit. TD-1 module is more or less based around simplicity. With that said, Roland made sure that this entry level module is capable of keeping up with even the more advanced users out there. It can handle just about anything you throw at it, giving you good performance all around. The kit has a sturdy build for an entry level drum set. We found that the drum bass pedal is really quiet. Super compact and lightweight if you need to move around the drum set. Overall this kit offers an incredible value for the money. The only thing to notice is a bit hard to setup and adjust. 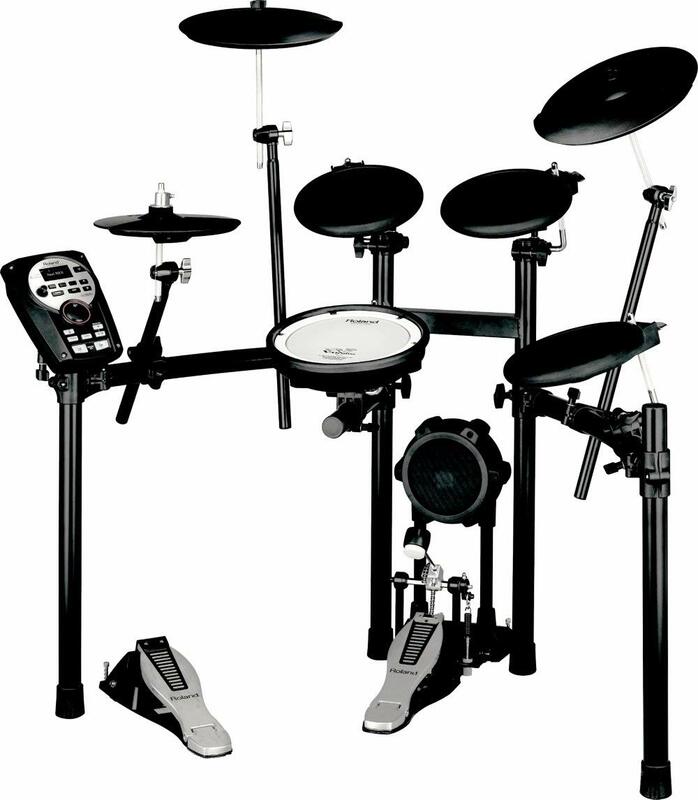 For more about the Roland TD-1K check out customer reviews on Amazon. This is an interesting option for beginners with a limited budget who want to get into electronic drumming. A good choice with a well-known brand that offers an entry level kit in this case. With this combo, you’ll get drumsticks and a pair or headphones. 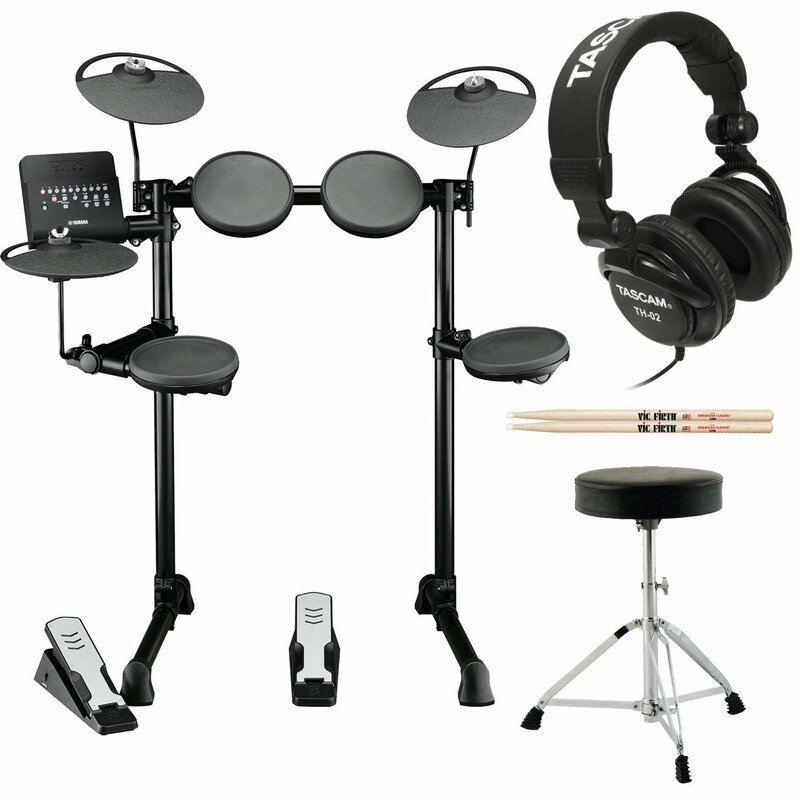 If you are just starting out we think this kit will be a well-rounded drum set for you. Yamaha’s more basic drum kits are made wit the same type of attention to detail as their flagship models. The only difference here is the configuration of the drum. Aside from mounts becoming loose from time to time, there is really nothing we could see that impacts the quality of this kit. This is a solid starter set for those who want something better. Learner drum kits generally don’t have a very large library. The same goes for DTX400K. You get 297 samples which make for ten pretty decent presets. The quality of those samples is great, which is why this kit is one of the best in its respective segment of the market. Yamaha went that extra mile to give us a very crisp sounding kit. The pads on DTX400K are of average quality for this price range. You are looking at decent stick response, more than acceptable feedback and overall good performance. Same goes for cymbals. There is no kick pad as Yamaha chose to go with a silent kick for this one. Being so low profile, DTX400K is actually fairly portable. The rack is simple enough to be easily broken down when you need to move the kit, and then put together with little effort. That’s why this kit is great for session drummers who can get away with using electronic kits. DTX400 module may come across as fairly basic, but this thing packs a decent punch. The controls are as light as they can be, allowing you to quickly navigate the functions of the module. What is more important is its performance. It can handle complex patterns with ease, giving you full freedom to express yourself. Of course, the price of this kit is one of the most important advantages. If you are just starting out and you have a limited budget this will fulfill your needs before you’re ready for the next step. One thing to notice is the snare gets a little bit loose sometimes. Nothing that a simple tightening of a bolt won’t fix. For more about the Yamaha DTX400K check out customer reviews on Amazon. If you’re an absolute beginner and want to enter the drumming world at a super affordable price, this kit may be the solution you’re looking for. It’s nice to see Alesis has included some of their more advanced technology in this starter kit. When you are dealing with beginner entry level kits such as Nitro, quality is an important factor. Fortunately for us, Alesis has created a kit that can take a beating and keep on going. The rack is very sturdy for this segment of the market, providing excellent support to all of the components. Alesis Nitro brings you 40 drum kit presets in total. On top of that, you get 11 MIDI kits and 385 various instruments that include SFX and all kinds of percussion. The quality of the sounds is decent, about as good as you would hope for them to be in this price range. The pads the Alesis folks ship with the Nitro can be described as basic but reliable. We are looking at a set of rubber heads which maybe aren’t all that sensitive, but their core performance is on point. The same can be said about the cymbals as well. This is the type of kit that you can learn how to play on, without having to worry about damaging the hardware. All things considered, Alesis Nitro isn’t a very portable kit. It features a full sized rack that takes some time to assemble and break down again. If you are looking for something to gig with on a tight budget, Nitro will work. The only thing to keep in mind is that moving it takes some time and effort. Nitro module which this kit got its name from, is a basic but effective solution in the entry-level segment of the market. Its core performance is rock solid, meaning that it will keep up with you no matter what. On top of that, it comes with a decent sequencer and a built-in metronome, which is great for those who want to learn the technique. Super inexpensive set that delivers volume sensibility and rimshots on all bodies making the feel and dynamics really a plus for this budget. Of course, it doesn’t have the best drum module and the sounds aren’t the greatest. But if you’re starting out this kit will meet your needs. 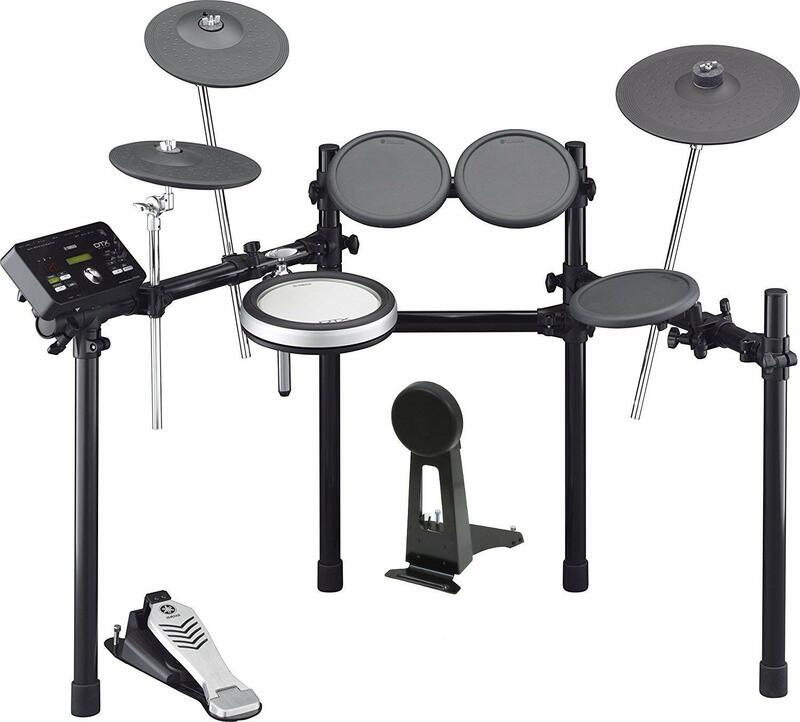 They also have an interesting drum kit for beginners, the Alesis DM6 that you can check if you have a little bit more budget. For more about the Alesis Nitro Kit check out customer reviews on Amazon. 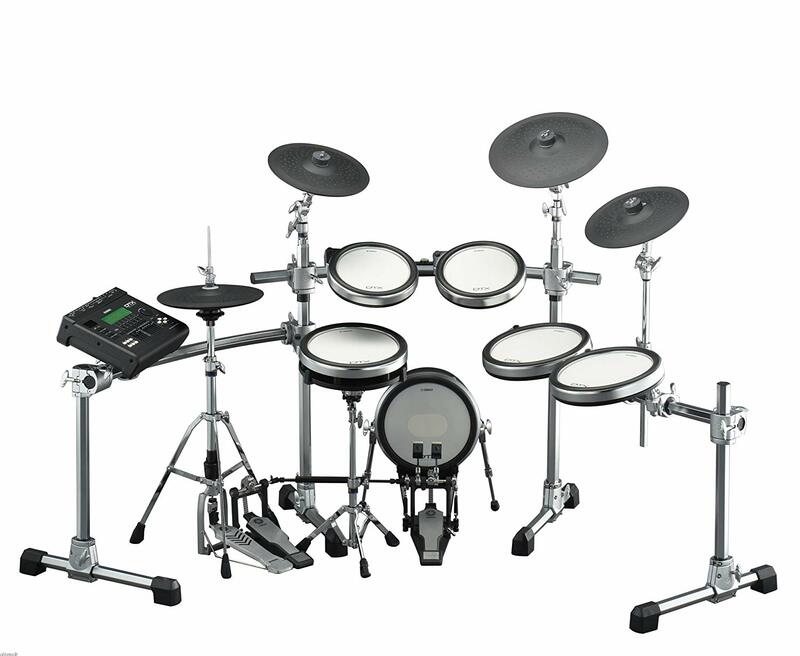 What most new drummers don’t understand about electronic drum sets, is that they are very purpose specific. For example, there are kits made specifically for home practice. Then you have those designed with studio use in mind as finally those which are made to be used on stage. Figuring out what you plan to use your kit for can help you narrow down a lot of options. Not to mention that doing this will tell you exactly which price range of kits you need to be looking at. Now that you have figured out what you plan on using your electronic drum kit for, you should define a budget for it. This is where things get a bit tricky. Some kits come with everything you need to play them. Others not so much. 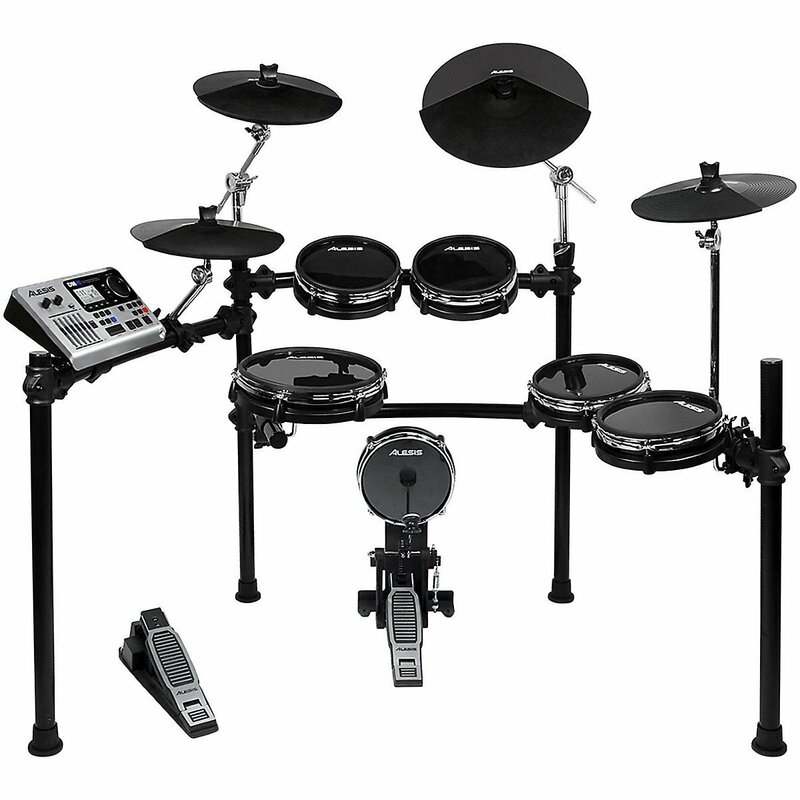 When setting a budget for an electronic drum kit, you should take into consideration all of the accessories you need to get in order to make the kit complete. An electronic drum kit module is the brain of the entire device. That is why most experienced drummers are going to look at the module of any given kit before they move on to other things. So should you. Getting a better module leaves you with more room for upgrades later down the road. With that said, making this decision should be based on how long you plan on keeping that specific kit, and when you will be able to get a better one. There have been lots of improvements since the first electronic drum set. At first, the sensation when playing this type of drums seemed as if you were trying to play drums on a desk. In turn, this meant that the feedback was completely different compared to a real acoustic set. Nowadays the feeling and response have been improved with the use of rubber or mesh heads. 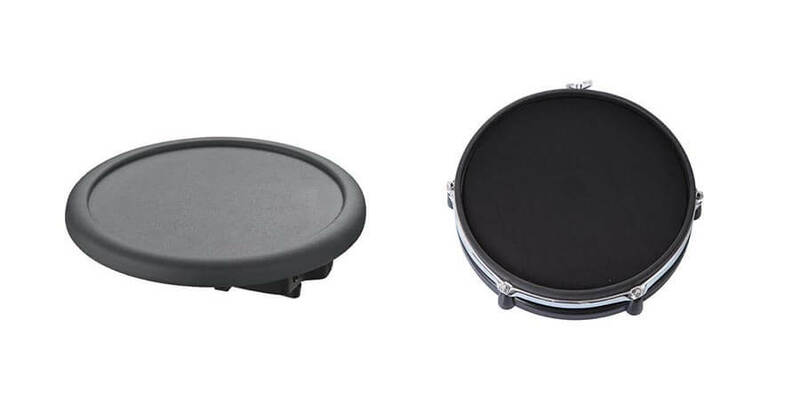 The main difference between these two is that the drum pads with rubber heads are similar to a traditional practice pad, making the feeling similar to the one you have when playing different parts of the set. Instead, the mesh heads tend to respond to a more acoustic feeling with a little more rebound, making them more friendly to play. Because we are entering the electronic world you should keep in mind that the drum set needs to be connected with an audio cable to an amplification system, especially when playing with other musicians. It’s also important to have good monitor speakers so you can hear exactly what you are playing. You can find some self-contained systems specially designed for electronic drums. If you are switching from an acoustic drum set or incorporating a new electronic kit you need to know that the feel and response from traditional drums will change greatly. One of the most noticeable changes is the stick response. As you can imagine both the rebound and the attack characteristics differ a lot from the acoustic options. Although the are electronic drum kits that use mesh heads that let you control tension, keep in mind that you’ll need to make some changes to your drumming technique. Especially if you’re planning to buy a kit with rubber head pads. Another difference can be latency. Nowadays MIDI is super fast and capable of processing several notes at a time, but you may still encounter a small lag between the stroke and the final sound. This shouldn’t be an issue and you’ll get used to it in no time, decreasing this perception. The last thing to notice is distant sound. If you have experience with acoustic kits , you will know that the sound is produced instantly from every drum body. When you go digital, the sound comes from the speakers placed around the room. One common solution is to use a couple of monitors that will give similar feeling when playing. Well, there you have it. The best electronic drum set reviews for every budget bracket. Of course, being at different price points features will change but any of the choices above are really good. This goes both for entry level users and professionals alike. If you are not sure which route to go, we have some excellent guides about intermediate sets and the best drum set brands for acoustic drumming. Be sure to check what customers are saying about the products and feel free to leave us a comment with any question you might have. By the way don’t forget to check our lessons on how to play different rudiments like single paradiddle or double stroke roll. 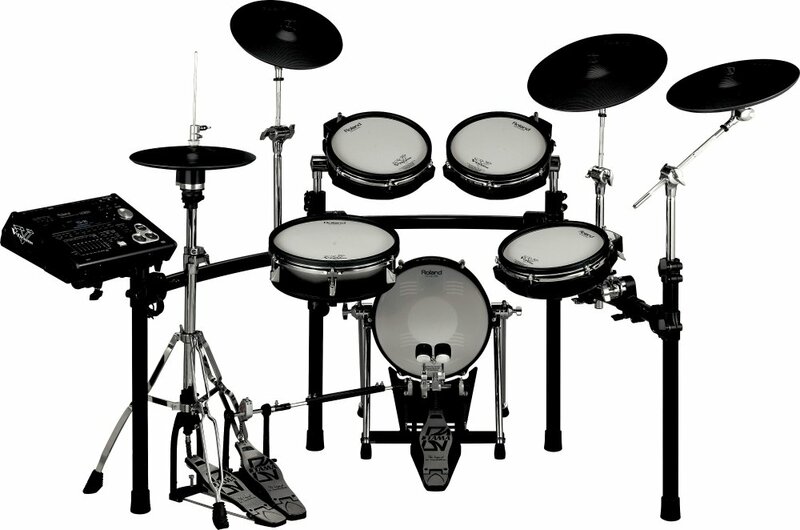 Getting an electronic drum set is the first step, now you need improve your skills to make it as a great drummer. 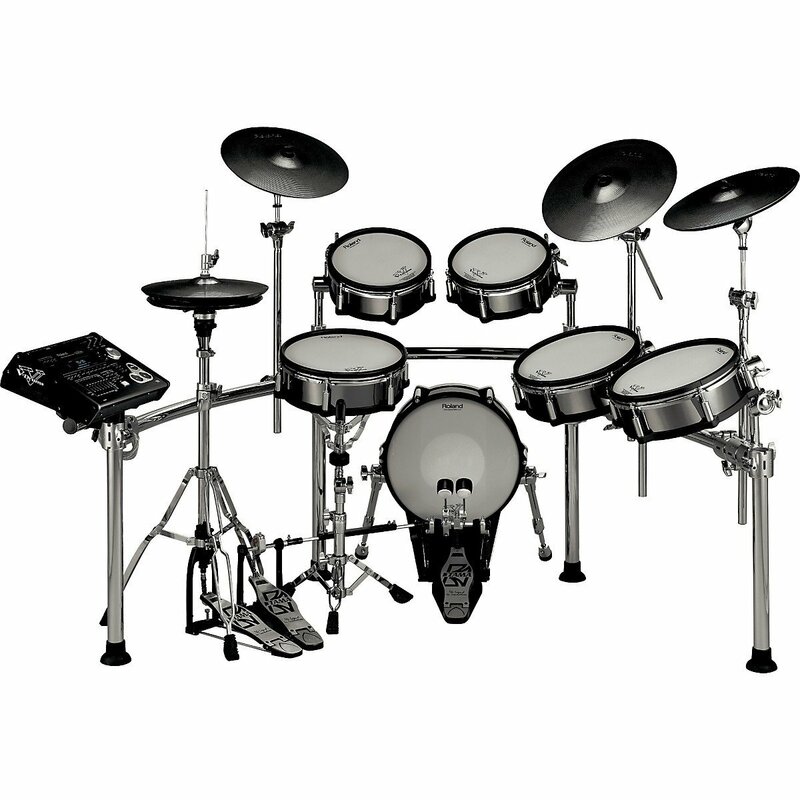 Now we want to hear from you, what is your dream electronic drum set?